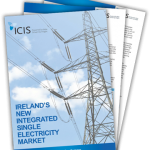 The European Daily Electricity Markets report supplies market participants with in-depth coverage of Europe’s power sector. The coverage includes independent price assessments, indices and analysis on the latest market developments, fundamentals data and daily news stories. The power package add-on includes further commentary and exchange prices for coal and European carbon markets, as well as analysis of fuel switching trends. 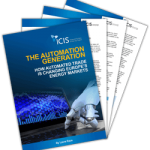 ICIS Technical Analysis is now included as part of the European Spot Gas Markets (ESGM) and European Daily Electricity Markets (EDEM) service.Combining key technical drivers for Europe’s most liquid power and gas markets, alongside fundamental factors, ICIS Technical Analysis gives a rounded outlook ahead of the day’s trading. Intercontinental Exchange (ICE) EUA and CER emissions certificate prices, as well as ICE Rotterdam, ICE Richards Bay and gC Newcastle coal prices for further research and analysis. Our insights have been helping traders, electricity producers, buyers, suppliers and risk managers in their daily negotiations, analysis and trading for more than 14 years, by providing solid data and market intelligence on which they can base their commercial decision-making. 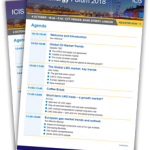 ICIS deputy news editor, Christopher Somers provides an update and sheds light on the launch of I-SEM and explains how it will allow trading over an increased number of delivery periods, including a balancing market, day-ahead and forward markets. 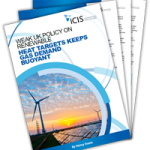 ICIS analysis found that power and natural gas demand and prices are at their lowest when temperatures reach 17°C in the UK and France. Heating demand is also at its lowest on these days. This infographic by ICIS market reporter, William Peck, reveals which temperatures have the lowest energy demand in the two countries, and the effect this has on pricing. The Nordic countries have initiated a number of electricity interconnector projects, with many to be commissioned in the next four years. The new links will increase opportunities for cross-border trade between Scandinavia, the northwest European markets and the UK. 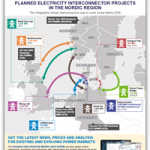 Our new infographic by ICIS deputy news editor, Chris Somers, presents all of the upcoming Nordic interconnector projects, their capacities and commissioning dates. While the electricity markets in the Balkans have been developing in recent years, day-ahead volumes traded through the local exchanges are still relatively low, with most of the liquidity remaining with the benchmark HUPX. In this infographic, ICIS tracks the changes in liquidity of Balkan day-ahead power exchanges from 2016 to 2017, and indicates countries yet to launch an exchange. The UK’s approach to renewable heat targets means gas is likely to remain the cornerstone of residential and commercial heating demand for the next decade and beyond. This market insight by senior reporter, Henry Evans, explores how the government’s attempts to meet EU targets for renewal electricity has overshadowed renewable and transport targets. 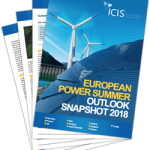 ICIS analysis has found that an average daily temperature of below 9°C in the UK and France is the tipping point as to where wholesale power and gas prices have started to rise over the last three years. 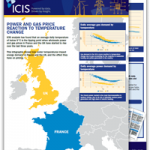 This infographic shows how cooler temperatures impact energy demand in the UK and France, and the effect they have on pricing. 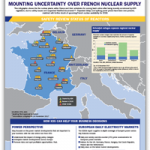 France’s nuclear fleets have been scrutinised by regulators this year and last over safety issues. Initial schedules to bring the plants back online have not been kept to as shown in this latest infographic by ICIS. Turkey and southeast European countries have been struggling to diversify their natural gas resources and supply routes. Over the years, numerous projects have been initiated – but many have fallen through either due to lack of commercial viability, complex regional politics or changing global conditions. While important lessons were learnt at the beginning of this year when unprecedented price spikes hit energy markets, some of the issues that allowed the price spikes to occur have cropped up again. Will the European energy markets pull through this winter unscathed? 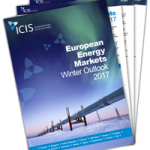 European energy traders face a mixed standpoint as described in the ICIS European Energy Market Winter Outlook 2017, download your copy to find out more. 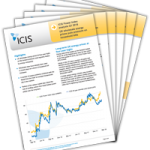 Our EDEM report is accessible online via the ICIS dashboard, giving a single view of prices, market news, alerts and historical pricing data. It is fully customisable, allowing you to view the markets and prices you’re most interested in.